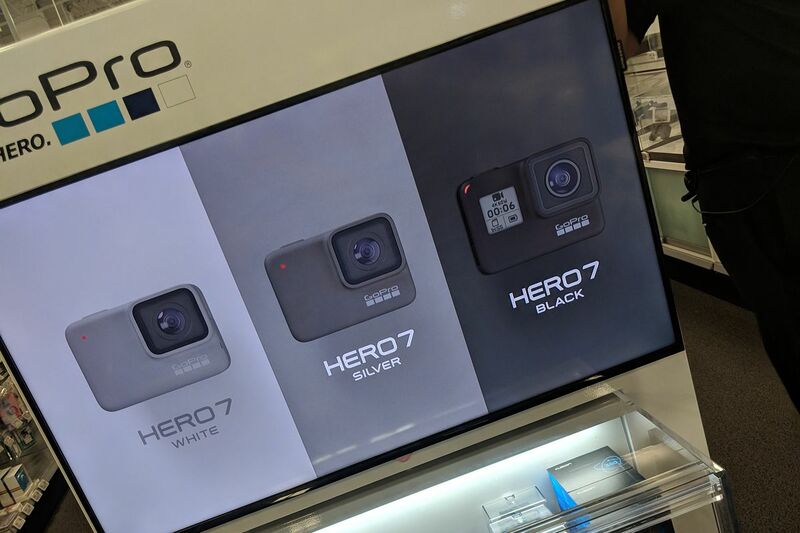 GoPro’s next camera appears to have leaked via a store display. Imgur user Austin Mittelstadt posted a series of images (via Reddit) that show off the company’s Hero 7 camera, which is expected to be announced later this month. The camera appears to come in three colors: white, silver, and black. The display also shows off some of the usual features that we’ve seen with prior models, like image stabilization and that it’s waterproof up to a depth of 33 feet. A couple of the models appear to come without a front screen, echoing what we saw with the Hero 4 line, where the silver model came without the screen, while the black version did. GoPro has had a rough couple of years. It slashed its camera lineup to three models in the spring of 2016, in an effort to focus its lineup and cut costs, launched a 360-degree camera called Fusion and the Hero 6 camera last year, which bumped up the specs from prior models. It also got out of the drone business this past spring. Those efforts to slim down a bit appear to have succeeded: the company had a profitable quarter last year. Earlier this year, the company released the Hero, a new entry-level camera, and indicated that others would follow later this year.